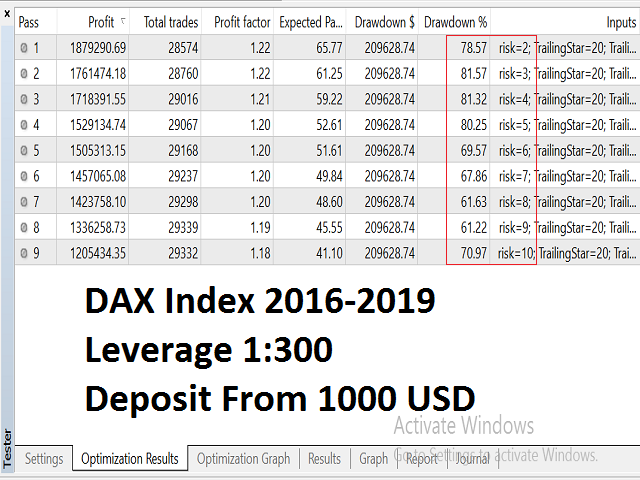 King Dax EA is a scalping EA based on a unique algorithm. This Expert Advisor uses Virtual Stoploss so that it is hidden from the broker. This Expert Advisor works with 3 indicators is the Larry Williams Percent Range indicator, the ADX indicator and the Envelopes indicator. This Expert Advisor strategies look for potential buy and sell levels in high market volatility All are done by complex algorithms and best calculations. 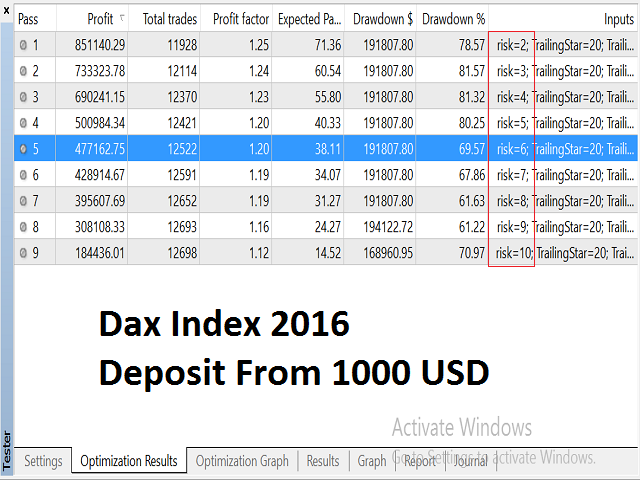 It is recommended to use for Dax Index on the M1 Timeframe. Pc or VPS a latency up to a recommended maximum of 40ms. Auto_Lot - ratio of Account Balance to trade Activation. period - Standard Deviation indicator and Larry Williams' Percent Range indicator Averaging period for calculation. Max_Order - maximum number of open trades.